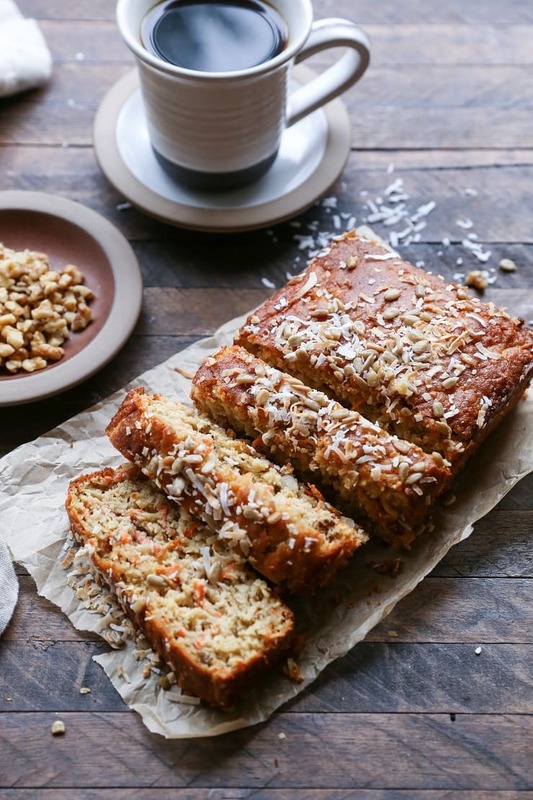 Grain-free, refined sugar-free, dairy-free paleo morning glory quick bread – with all the flavors of morning glory muffins, and easily prepared in your blender, this quick bread is a marvelous go-to treat. The older I get, the more importance I attach to life’s little comforts… Whether it be relishing my steamy morning beverage, sweating it out in a hot yoga class, or setting aside a moment to enjoy a slice of quick bread alongside a good read, these are the little “me” sessions that, while small and seemingly insignificant, make waves in helping me stay relaxed and focused. Everyone has their own approach to treating themselves, but the key for me is to keep my daily comforts well-conceived, uplifting, strengthening, or healthful… Wise indulgences, as I like to think of them. 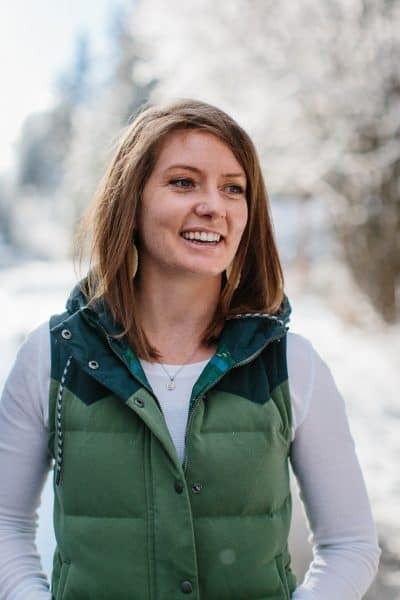 In my late twenties, I would have needed to justify or earn any of these little pleasures before slowing down and taking a breather. You know, because: guilt, self-loathing, self-imposed pressure to embody perfection while still remaining cool, but not displaying any of the effort that goes into it, and yadda yadda baba ganoush. Ohhh momma has that changed. Being human is hard AF…we deserve to throw ourselves a bone. All the trappings of a morning glory muffin, but in the form of a loaf. Have you noticed the features of the morning glory muffin are nearly identical to the features of carrot cake? Carrots, applesauce, walnuts, shredded coconut, sometimes raisins, sometimes pineapple? Depending on your approach to either, the two can be one and the same. Which quite honestly is fine by me, because I love both so dearly. Way I see it, whatever adventure you choose, you’re bound to end up with a comforting result. You’ll observe the recipe here is similar to the Paleo Carrot Cake I showed you last week. Same awesome concept, just a few minor tweaks, and in the form of a quick bread rather than a tiered cake. Psst! If you want to frost this loaf to give it an extra pizzaz, I 200% recommend my Vegan Cream Cheese Frosting! This bread is everything a good quick bread should be: tender and moist, dense, but airy, sweet but not too sweet, fluffy, full of flavor, the perfect accompaniment to your mug of coffee or tea. Just like carrot cake, there are plenty of ways you can make this recipe your own. For me, breads like this are that slow morning or afternoon experience, where you cut off a thick slice, pair it with your favorite hot drink, and slowly savor each bite while surfing the internet for quality information or reading a great book, researching getaways, etc. I’ve also been known to down a huge hunk lickety split after a sweaty hot yoga class, so there’s always that option, too. Hazelnut flour in place of almond flour? Sure, we can dig! Whip up that Vegan Cream Cheese Frosting I showed you last week and frost the dang thing! Easily turn this bread into muffins by baking the batter in a muffin tray. Throw yourself a loaf of morning glory quick bread! 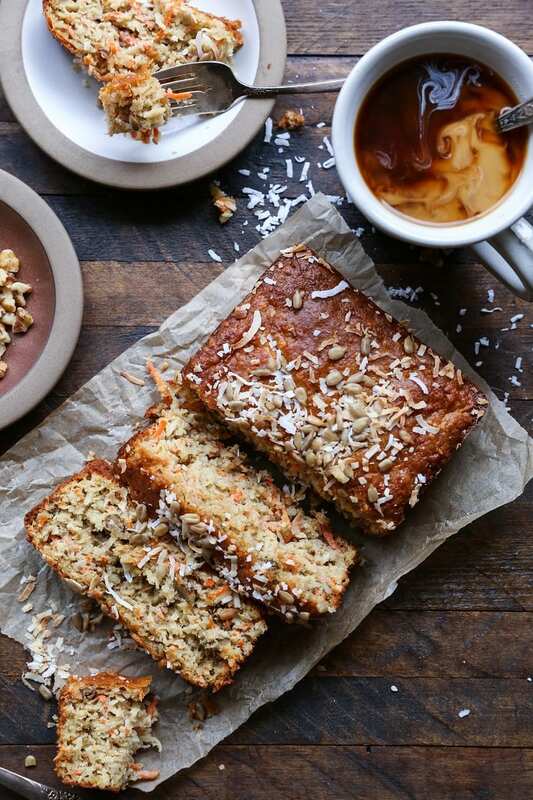 If you make this Paleo Morning Glory Quick Bread, please feel free to share a photo and tag @TheRoastedRoot on Instagram! Preheat the oven to 375 degrees F and oil or spray a loaf pan. Add the first 11 ingredients (eggs through salt) to a blender and blend until smooth. Stir in the remaining ingredients until the batter is well-combined. Remove the bread from the oven and allow it to cool 1 hour before cutting. When ready to cut, run a knife along the edge of the bread and turn it out onto a cutting board. Cut thick slices and enjoy! *You can also use algae oil, grapeseed oil, almond oil, avocado oil etc. I too, am all about savoring the little moments, specifically the mornings because they are my favorite. This bread looks like the perfect way to do that! This looks incredible! I love how healthy it is and all the flavors you’ve packed in there. Sipping a hot cup of tea with a thick slice of this and some Netflix sounds like my perfect afternoon! Morning Glory is my favorite muffin. Thank you for making a healthier (guilt free) version! Mornings are my favorite. This would be the perfect breakfast! This looks yummy. Have you tried including crushed pineapple in these and if so did it work? Hi Amy! 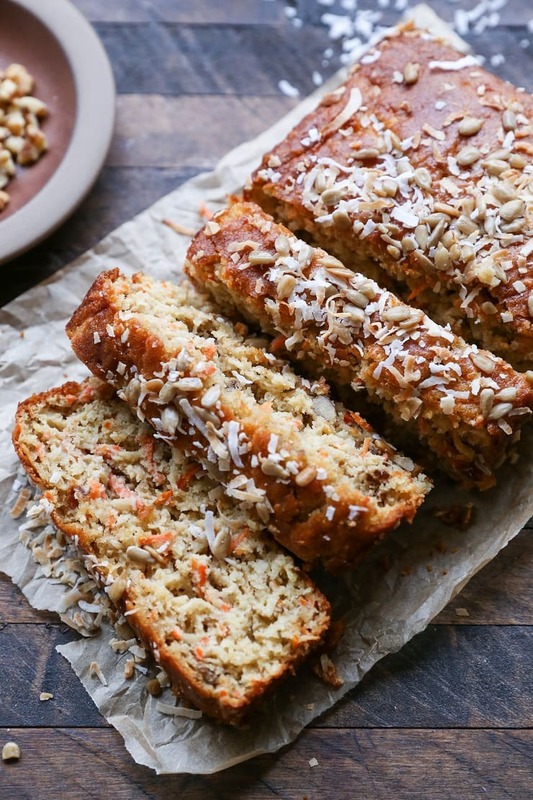 I haven’t used crushed pineapple in this particular bread yet, but I’ve used it in place of oil in carrot cake recipes and muffins, and it works great! If you omit the oil to add pineapple, you may need to let the bread sit a little longer when it comes out of the oven just to be sure it sets up nicely. Let me know if you try it! This landed in my inbox and I made it straight away. Without the nuts, and used applesauce. It is amazing!!!!! With a slab of butter. Gah!!! So good! Yessss! Morning glory … carrot cake … I love em, love em! Seriously though. A favorite! haha This bread sounds soooo good! And I’m with you – my perspective on self-care / taking time for myself has changed now that I’m in my 30s … funny how that happens. Getting older definitely has a way of making one take care of oneself…I oughta know because I’m hitting a big milestone soon. lol . 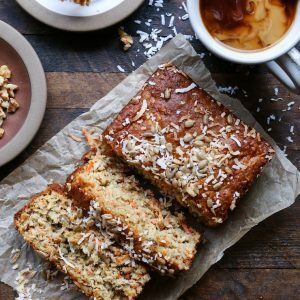 I’m a huge fan of morning glory anything, so I’m all over this health-ified morning glory bread!! This won’t take too time. it can be made quickly. Thanks for posting this. I got new Dish to prepare. I hadn’t noticed that morning glory muffins and carrot cake are so similar. That must be why I love those muffins so much :). 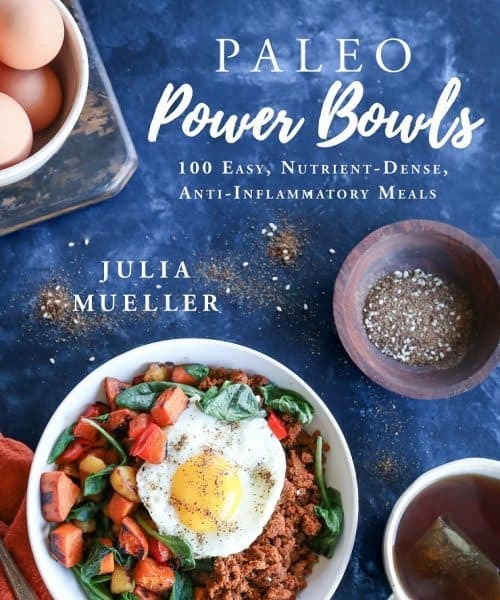 This looks delicious, Julia! Have a great weekend! This looks perfect for a drizzling rainy day like today!. Have you tried making it without eggs? I seem to be in the middle of an age where what I used to eat has finally caught up with me. I love it – looks absolutely delish! The morning glory is in some sense WAY better than carrot cake because you can acceptably eat it for breakfast without any trace of judgment! I’m all for that. Amazed at how moist and glorious this looks. You did it again! Are you able to substitute coconut flour for almond flour? How much pineapple do you use if you want to leave out the oil? I totally hear you on life’s little comforts. I think we get more and more routine as we age!! Morning glory muffins are my absolute fave, so I am SO looking forward to trying this one out. Happy Friday! I’ve given up refined sugar just over a year ago and I’m very much enjoying the journey of discovering the healthy sweets and desserts. Could not live without them and frankly why should I if they’re good for me?! Is there anything I could use instead of tapioca flour, please? Can you just use the almond flour and leave out the tapioca flour? What can use in place of the shredded coconut? I love coconut oil, but have never been a fan of the shredded coconut. Thanks in advance for the awesome recipe! I’m making this tonight for tomorrow morning. Could I use monk fruit instead of maple syrup? Or would that dry it out? Thanks! Could this be made in a mini muffin tin? This looks delish! Have you substituted coconut oil instead of the olive oil or other oils you suggested? I just happen to have that on hand today. Thank you for this recipe, I’m looking forward making it! Does it freeze well? Yes, it freezes super well! I wrap the loaf in plastic wrap and then put it in a zip lock bag to avoid freezer burn 😉 Enjoy! I wasn’t able to find nutritional information…especially the carb count. Can you help please? I can’t wait to make this bread! You think I could add zucchini maybe half zucchini half carrot? I have so much zucchini to use up. Sooo good! Didn’t have tapioca starch so I used coco and almond flour to replace it, and it worked, but it’s just a tad crumbly. I’ll definitely go for the tapioca next time as well as some crushed pineapple for added depth. I love how you can basically do whatever you want which whatever you have on hand, and it still taste amazing! Cannot wait to make this. It looks wonderful. Can I substitute almond meal for the almond flour? I’m totally going to give this a try with the hazelnut flour- it sounds so tasty! Thank you!! This recipe was fantastic! I made it, replacing the maple syrup with Monkfruit Sweetened Maple Flavored Syrup and no one in my family noticed! They loved it too! wow I love the fabulous combo in morning glory muffins, what a great way to sneak in extra fruit and veggies! I’m sure these muffins make mornings that much more glorious..